We’ve all got our fair share of random crap lying around the home. But what may seem like useless junk to you could actually be worth a pretty penny to someone else. You’d be surprised by how much some old stuff and rare collectables are going for on eBay these days. It might be time to clean out, sell up, and get some extra pocket money for the things you really want – like bacon. Ring, ring. Hello? What’s that? You want more money? Selling that old rotary phone from past decades might be a great way to get your bank account climbing. What’s old is new again, and retro phones are all the rage with the hip kids down at the milk bar (or so we’ve heard). If your model dates back even further, like this Ericsson Single Cell Wall Telephone, you can expect upwards of $1,000. You could buy the latest iPhone with that cash. That box of old magazines could be worth a lot more than you think. Buyers drop a decent buck on rare or iconic issues, whether as a one-off or to add to their vintage collection. If your downstairs bathroom features a pile of old magazines, we’d suggest trading them in for some coin and finding alternative bathroom reading material. This 1993 issue of Vogue is currently listed for $25. Just imagine what a whole stack could get you. Whether your ‘90s kids have left them behind or you’re a Pikachu fan yourself, parting with your Pokémon cards could have you rolling in cash (or at least fanning yourself proudly with a couple of $50 notes). Rare cards can go for around $100 a pop these days. Talk about incentive to clear out your kids’ old rooms. Gotta catch – and sell – ‘em all! Holding on to that old camera because it’s too valuable to throw out but you don’t want to splash the cash to get it back in working order? Even if your camera is inoperative, avid photographers and desperate hipsters worldwide go nuts for vintage models. A great collector’s item, you could expect to get around $400 online for your old camera depending on the brand and model. eBay has proven that the amount printed on an old note or coin is not all it’s worth. Rare coins and notes can go for a staggering amount these days, with collectors eager to add more pieces to their albums. Give them the satisfaction of sliding a 2000 one dollar mule coin into their plastic sleeve while you slide a thousand dollars into your pocket. Not donating your loose change to charity really has its perks. As gamers move on to bigger and better things (hello, PS4), the humble Gameboy becomes a forgotten artefact, left to gather dust in boxes and drawers all over the nation. Before you throw that old Gameboy in the trash, try listing it on eBay instead. Nintendo Gameboys can go for upwards of $100 – more if you include some games. That can buy you the latest Call of Duty and hours of gaming fun. You know, if you’re into that sort of thing. Stamp collectors are still among us. They pass us in the grocery store. They sit beside us at bus stops. 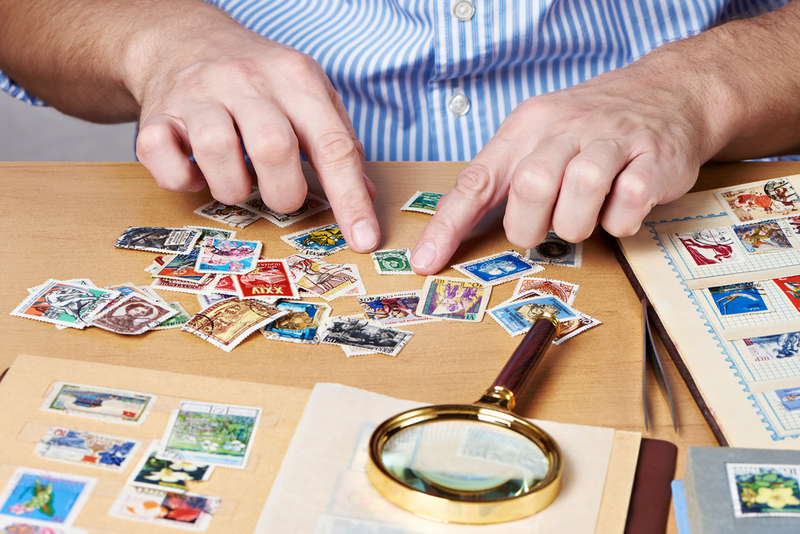 There could be a stamp collector in your home right now. They even have their own fancy name (philatelist). Imagine being able to pay for your trip to Thailand just by selling some old stamps. And we’re not talking about slumming it in hostels, either. Several rare stamps on eBay are currently going for thousands of dollars, with potential buyers from all over the world keeping a watchful eye on the listing, just waiting to start a bidding war that ends in bloodshed. Or not. We can’t think of a better reason to hunt down those old stamps you never used because email became a thing. With the youngsters of today trawling second-hand stores to bring retro vibes to their little rentals, it’s time to take advantage of vintage being the in-thing. Instead of throwing out that old armchair, make an easy buck by selling it online. This pair of retro Danish Parker armchairs is going for over $600. With vintage furniture coming back in fashion, it’s never been easier to get some cash for those pieces you’ve got stored in your garage. What did the abacus say when his friend asked him for a favour? Clever? Yes. Lame? Absolutely. But what’s not lame is pocketing over $40 for that vintage abacus you’ve got stashed away. Collectors and historians spend hours searching the internet for militaria. Sought-after items such as this WWI Native American soldier’s helmet can go for thousands of dollars. If you have items from the war and aren’t quite sure what to do with them, selling them on eBay could be an option. Selling the things you no longer need is a great way to get cashed up and buy that yacht you’ve been dreaming about. OK, you might not get enough to buy a yacht, but you’ll sure as hell be able to afford some ice cream. And that’s pretty darn good too. Not sure about selling online? You might prefer to hold a garage sale. Weigh up your choices in this helpful post.